The goal of this page is to answer all of the questions you might have while living in JWW19. If you spot any mistakes please contact the Haussprecher. 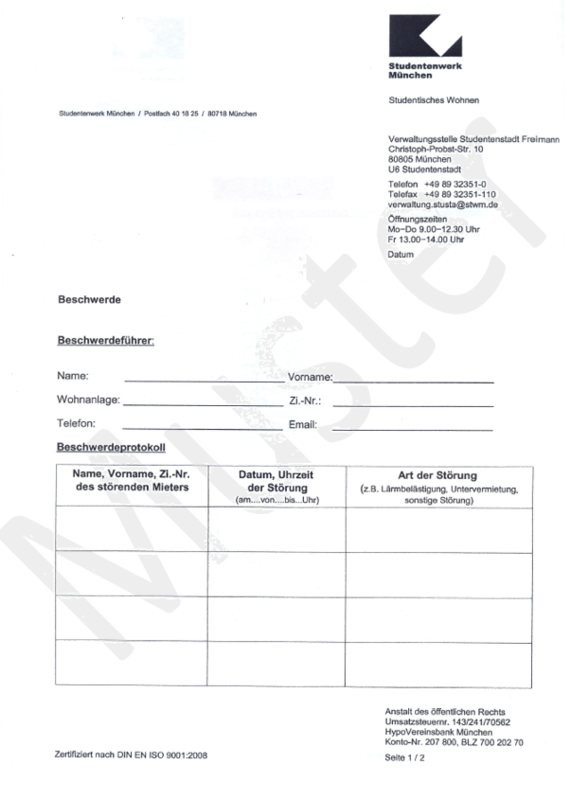 Among the documents you will receive when you move in, there is a form in which you have to fill in all defects of the room and its furnishings. Fill it in carefully and note everything down. It is also possible to check the box that the defect should be repaired. This only happens if the defect is really bad (i.e. a dirty shower curtain is not replaced by the caretaker, even if you tick it). Of course your room has internet access. Since the operator is the LRZ, there are certain special rules that must be obeyed. These can be found in your rental agreement. 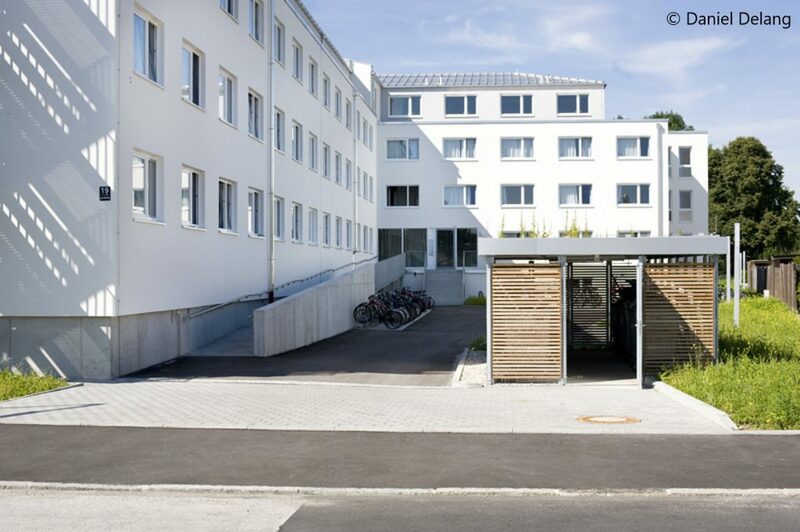 Our dormitory is connected to the Studentenstadt via a laser connection. This means that in bad weather (heavy rain or snowfall) the connection may be worse. You can find instructions for setting up the Internet when you move in. This document explains how to connect your computer directly to the LAN socket in the wall. Setting up WLAN routers is more complicated than configuring a computer with a direct LAN connection to the network socket. Therefore we have created a detailed manual for you. If you have any problems or questions, please contact the network admins who will be happy to help you. A list of the currently elected network admins is displayed in the entrance hall. Skype can cause problems when using the internet because too many connections are made. There is a fan in the bathroom. If you open it, you will see that there is also a filter in it that quickly clogs with dust. It is recommended to clean it regularly. It is best to vacuum the dust first and then wash the filter with water. If the filter is damaged or cannot be cleaned at all, please contact the caretaker. 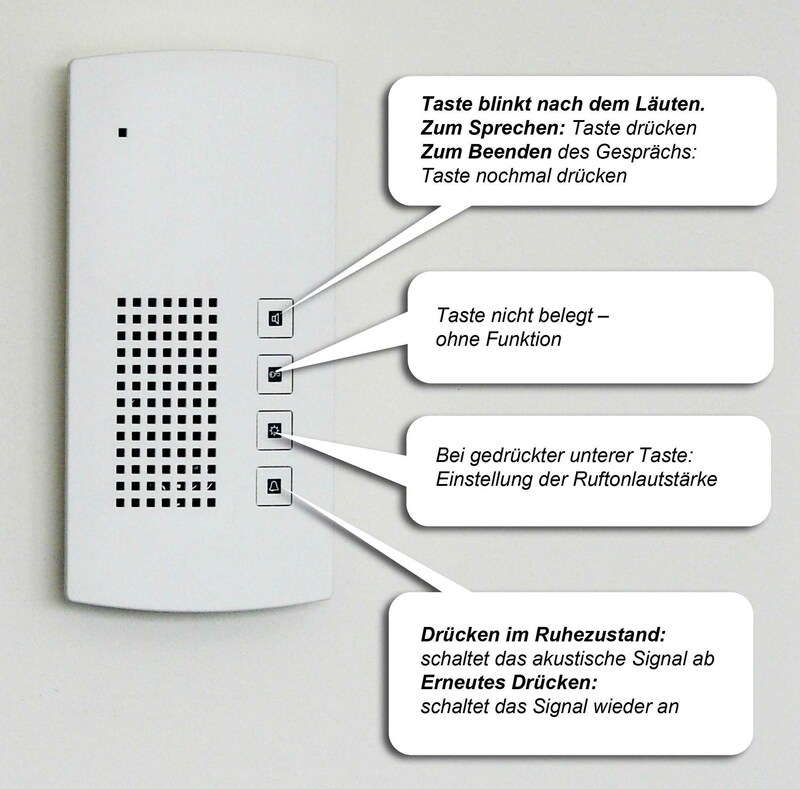 On the picture you can see all functions of your bell at a glance. There is no door opener for the entrance door. If someone rings the doorbell, you must always run down to open the door. The bell at the main entrance and your bell at your front door have a different tone. Try this out so you know where the bells are ringing. The individual apartments are heated by underfloor heating. The underfloor heating does not react like an ordinary room heating. It takes longer to reach the desired temperature and is controlled by the outside temperature. If it is too warm outside, the heating usually does not switch on at all. It is usually deactivated even in autumn. We do not know exactly how the heating works. If you should have problems with the heating, it is recommended to wait a few days first, then it usually starts. The slots at the top of the windows are ventilation slots. They are there to allow air exchange even when the windows are closed. The slot can be opened and closed using the small black plastic levers. As you may have noticed, chlorine is added to our tap water. On some days the smell of chlorine is stronger, on some days less strong. Chlorine is never harmful to your health. The dose is too low. The water can therefore be drunk without hesitation. Anyone who is disturbed by the taste has to resort to filters or purchased water. If you find any defects in your room, you can fill out a repair form and request a repair. Defects can be that a lamp in the room is broken, your drain is blocked, the heating does not work, etc. All these things will be taken care of by the caretaker. You can find repair certificates in the entrance area opposite the caretaker’s office. It is very important that you fill it out completely. Name, phone number and app. number are obligatory data. If these are missing, the order will not be accepted. The permission that the caretaker may enter your room in your absence is not obligatory. However, a repair without permission takes much longer or is partly not carried out at all. For reasons of fire protection, doormats must not be laid in front of the rooms. If there is one in front of the room, it will be removed by the caretaker and can be picked up again. To the right of the main entrance you will find all the mailboxes. You can attach your name to your mailbox, but you don’t have to. If you enter your address, it’s best to add your apartment number. This way you can be sure that the letter is inserted correctly. Please place incorrectly delivered letters on the mailbox in the entrance area. The postman will take the letters back with him at regular intervals. DHL, UPS, Hermes etc. usually deliver at some point in the afternoon. Unfortunately, they often do not ring and only stick a notification note to the front door. Unfortunately, it has not proved safe to leave them on the letterboxes, as parcels have already been lost. We therefore strongly recommend using a Packstation. The next packing station is right next to the Aldi (Freisinger Landstraße 64). There is another packing station in Paul-Hindemith-Allee (about 10 minutes by bike). In principle, noise in the dormitory should be avoided between 12:00 and 14:00 hrs and between 22:00 and 7:00 hrs. On Sundays and public holidays there is a requirement not to cause any noise during the whole day. If you feel disturbed by a party, please call the house spokespersons first (for telephone number, see profiles in the entrance area). They are available at all times to help you improve your situation. Also for disturbing neighbours: Try to speak directly with them first. If necessary, the house speakers can help you to reach an agreement. 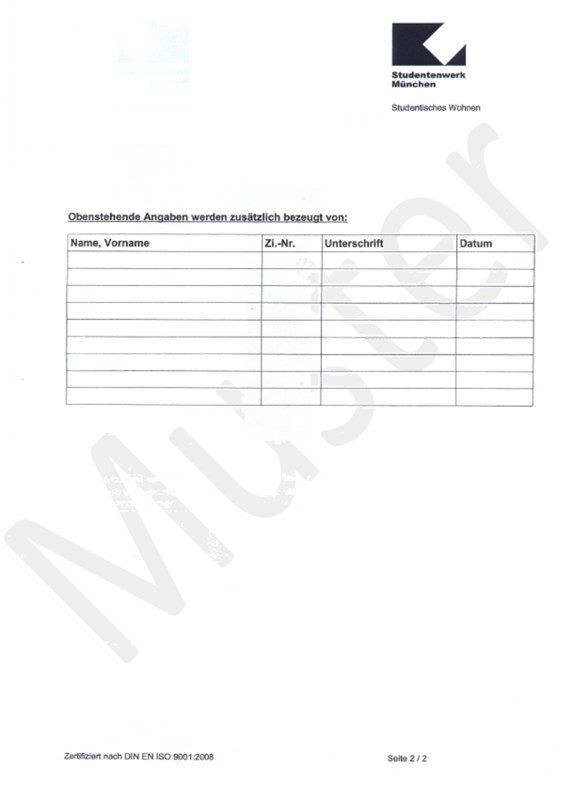 As a last measure, you can make a complaint to the Studentenwerk using a complaint form. To confirm the facts you should also find residents who sign on the back. Hand in the form at the administration office. The Studentenwerk will get in touch with the noise source and discuss how noise can be avoided in the future. As a consequence, there may also be a notice of termination. There have been cases where residents in the house have moved to another apartment because they have not been able to cope with the noises in the courtyard or their neighbours. This is also possible. As a resident, you are always required to submit a current matriculation certificate. For the winter semester you normally must submit it by the middle of november and for the summer semester by the middle of may. Please note these two deadlines. If you do not send in the certificate, you will be sent a notice of termination! The matriculation certificate should be uploaded here. You have received the access data from our administration. Every semester there is a general meeting in the dormitory. There the house spokespersons are elected and further offices are assigned. Your presence is important, as the meeting is only entitled to vote if there are enough participants. Furthermore, you can directly express problems, wishes and suggestions and participate in the dormitory. If you won’t be in the dormitory for a long time, you can sublet your room. 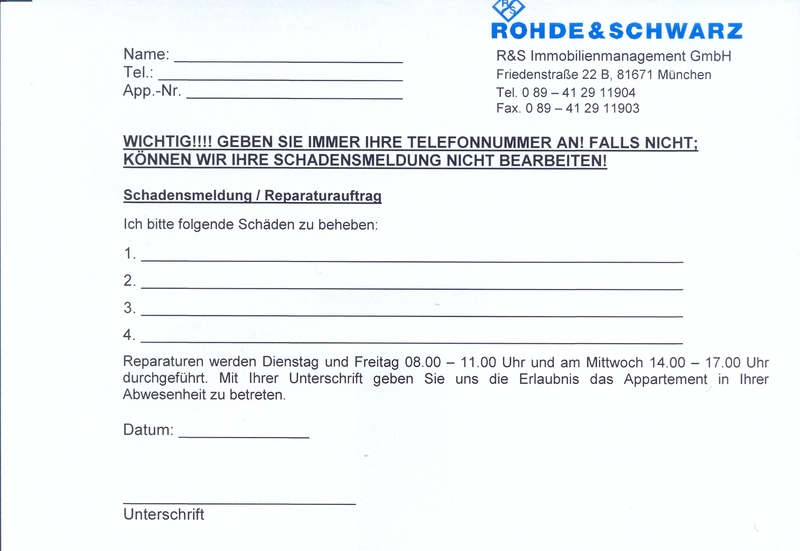 To sublet a room, you must fill out a form and return it to the Studentenwerk. You can pick up an original at the administration office. We have a copy here so that you know what information needs to be kept ready. 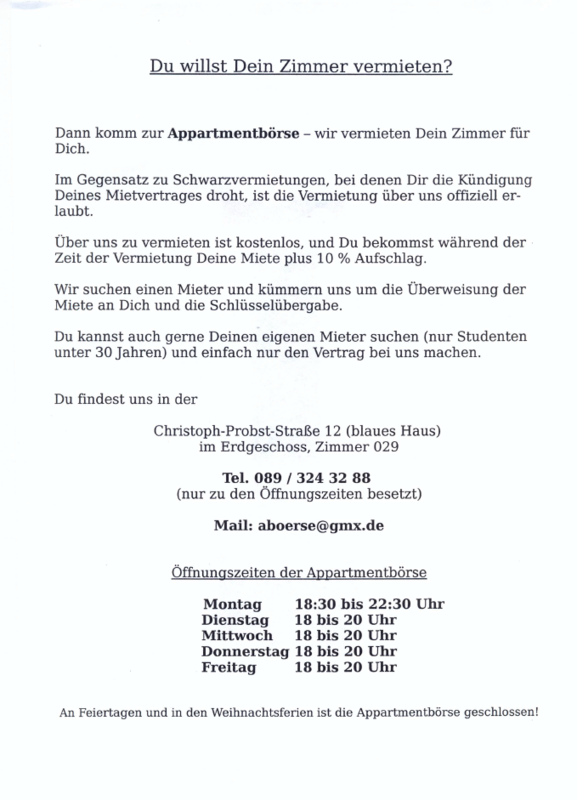 You can also register for subletting at the apartment exchange in the Studentenstadt. The apartment exchange rents the room for you. All further information can be found on the following info sheet. The period of residence in the dormitory is limited. You can find out when you have to move out in your tenancy agreement. House Speaker: If you take over the office of house speaker, there is a 1:1 extension for your term of office. You can only become a house spokesperson if you have at least 1 year of remaining residential time. Tutors: If you take over the office of the tutor, there is an extension of one semester of living time for you. Network Admins: The network Admins can distribute two semesters of extended living time among themselves per semester. Honorary semester: Each semester, the house spokespersons can give two semesters of extended living time to particularly active residents. This allocation must be voted on at the plenary meeting. If you are interested in such an honorary semester, please contact the house spokespersons. Special circumstances: Normally a tenant has the possibility to enforce a rent reduction in case of annoyance by noise or other restrictions. This is not possible in dormitories. As compensation, you can apply for a prolongation of your stay, as it was approved for every inhabitant of the dormitory during construction work on the neighbouring property. Residents in final examination: A one-time extension for the final examination is granted to residents who can prove that they can take the final examination within the extension semester. If this applies to you, please contact the administrative office. Special cases: In special exceptional situations (e.g. serious illness, pregnancy, etc.) a written application for an extension of the period of residence can be made. Please contact the administrative office. If you want to move out, there’s a deadline. You can find this in your rental agreement. For some residents it was a three-month period, for others it was a one-month period. For this reason, if you are unsure, please check with the administration. If you have received a cancellation, you will also receive a date on which you must hand over your rooms, keys and everything else. The room will then be accepted by the caretaker. Your apartment must be properly cleaned when you return it. Painting is not absolutely necessary if it is normal dirt. If you are not sure, just ask the caretaker. The deposit will be transferred back to you after you move out. This can usually take up to three months. At least one common room is available on each floor. We have tried to furnish the rooms as they were originally completely empty. The keys for the locked rooms can of course be borrowed. An up-to-date list of the key holders is displayed on the notice board in the entrance area. There is a table tennis table on the ground floor (room 0-33). The room is always open, so you can play at any time but please not after 10pm. Rackets and balls are ready. Please be careful with the material! The Fitness Room is on the ground floor. It may not be entered after 22 o’clock. There are two study rooms. One room is on the first floor, the other one on the third floor. The printer can be found in the room on the third floor. The study rooms are always open! The billiard room is on the second floor. The billiard room may not be entered after 22 o’clock. The auditorium is located on the 3rd floor of the dormitory, to the right of the floor door. The room may only be used for the General Assembly. The key for the room is held by the house speakers. At the end of the cellar in the house is the dormitory meeting place. We furnished and designed this room ourselves and it offers space for parties, games evenings, film evenings, etc. Regular events take place there. You can find the calendar of events here. If you want to have the dormitory meeting place for your own events, you must at least 2 weeks before contact the house speakers. Rentals are only possible on Friday or Saturday evening. You will get the key if you deposit 100 EUR deposit and hand over the meeting place cleaned afterwards (toilet facilities included). The cleaning materials of the dormitory can be used. The deposit is then returned in full when the room has been cleaned and handed over in perfect condition. The deposit can be retained in the event of noise complaints from residents. The caretaker is responsible for cleaning the corridors, the staircase and the washroom. Theoretically, they are obliged to clean them once a week (for which they are paid). Unfortunately this is not done. Because of the cleaning there have been several meetings between us, the Studentenwerk and R&S. These meetings have brought an improvement, but unfortunately only at very short notice. If you are dissatisfied with the cleaning or want to achieve an improved regularity, contact the house speakers and document the cleaning status daily with photos. All lamps in the corridors have a special thread type and cannot be changed by the caretaker. The electrician must come to the change. This does not come for every single lamp, but only if several are broken. Usually the caretaker does not pay attention to the lamps. For this reason a message must come from us, if lamps are to be repaired. Please help with this. If you find several broken lamps in your hallway, report this to the house speakers. They can then forward a collected message to R&S. In the cellar of our dormitory is the laundry room. A sign is also attached to the door. In the laundry room there are five washing machines and four dryers. One washing costs 0,50 EUR, one drying costs 0,30 EUR. One can buy washing powder also with the automat for 0,50 EUR. In the washroom there are also things to consider. If you have washed, please pick up your laundry promptly. This prevents clothes from being stolen. It is common practice that the laundry of the predecessor can be taken out when the machine is finished. There is a lint filter in the dryer. This should be cleaned before and after drying. Opposite the washroom there is a drying room which can be used by all residents. The room can be closed and opened with the room key. Please always make sure that the room is locked, as clothes have often been stolen from the room. The laundry stands in the room are private property and are not available to the general public. The clotheslines are at your disposal. For all residents who would like to practice, we have set up a music room in the basement. This room has been mostly soundproofed by us, so you can rehearse there in peace without disturbing the neighbours. Nevertheless, rehearse only until 10pm and not longer than 2 hours, because the person directly above the music room unfortunately notices a lot. If you are interested to use the room, please contact us at musikraum@jww19.de. There is also a list of people who currently rent a music room key in the entrance area. You will need to pay a deposit of €50 when borrowing a key, which you will receive back when you return the key. Around the main entrance you’ll find bike racks where you can put your bikes. Since there are some broken and unused bikes there, there will be an annual bike action to remove these bikes. Please pay attention to the notices on the white board! The bicycle parking spaces in the underground garage belong to our dormitory. They were an emergency solution when the courtyard was not ready when the house opened. Actually these parking lots should be dismantled again, in order to be able to rent these out also. The self-administration has been very active in ensuring that the pitches remain in place. For this reason we ask you to park bicycles exclusively in the stands and within the white line on the ground! If bicycles are parked everywhere and perhaps even hinder cars, the parking spaces will be removed immediately. Please help us to keep them. Bicycles have already been stolen from the underground car park several times. Often bicycles or saddles were removed. Please make sure that you always lock your bicycles well at the bicycle stands (then they cannot simply be carried away). It is also a good idea to secure the saddle with a small lock. The front parking spaces of the underground car park can be rented from the Studentenwerk for a fee of approximately 20€ per month. If you want to rent a parking space, please contact the administrative office. The rear part of the pitches and the outside pitches are all rented to the Wohnheim Josef-Wirth-Weg 21. In front of the dormitory is our garbage house. It is locked, but can be opened with your room key. Please separate your garbage. There are extra paper, residual waste and organic bins. If you throw away paper or organic waste, please do not use plastic bags but paper bags! The glass and plastic waste must be taken to the recycling station. You can find it at the corner of Kulturheimstraße and Heidemannstraße. You can also use the front doors of the fire escape. However, your key only locks the door for your floor. So if you live on the 2nd floor and want to go to the 3rd floor, you have to go over the normal staircase. Please walk the stairs down quietly and gently, because the noise of walking on the stairs is very loud in the first rooms at the front. Please always keep the emergency doors closed at night! In the past, some people had gained unauthorized access to the dormitory and they all came via the fire escape. Please don’t put any stones in the doors to keep them open. This will distort the doors and they can no longer be closed properly. If the doors are to be kept open, put a chair or something bigger in between. There is a ramp to the main entrance. This was built for our wheelchair users. Of course you can also use it if you are travelling with suitcases etc.. Please do this only at normal times. The ramp is very noisy when you walk over it and the residents who live right next to it have to endure it all. Therefore please be considerate and only use the ramp when necessary. You can smoke in your room and on the fire escape. Smoking is forbidden in the corridors, the common rooms, in front of the main entrance and in the underground car park. In the past, smoking out of the window often caused conflicts. The smoke moves into the neighbouring rooms. Please keep your windows closed when smoking. Please do not smoke in front of the entrance door. There the smoke also pulls very strongly into the windows. If the smoking ban is disregarded, please report this to the house speakers (if possible with name and/or room number). The complaint will then be forwarded to the Studentenwerk. If you ignore it several times, you may be dismissed immediately. Entering the roof areas around the house is strictly forbidden. This applies both to the roof area of the underground car park and to the roof area around the house. Also the parking of laundry stands etc. is not permitted. If you see people on the roof, please report this to the house speakers. In the past there were often annoyances by people who went from the roof to other flats, so the topic is not to be trifled with. At the back of the dorm there is a second staircase. This can only be used as an escape route and not as an entrance. The doors are to be kept also there always closed and one should put no objects into the doors. This makes it very easy for strangers to enter the dormitory. The house speakers and tutors try to organize parties regularly. If you want more, contact them and help them. You can borrow a bicycle pump from the dorm meeting place. Just contact a house speaker. You can borrow a bicycle repair kit from the dorm meeting place. Just contact a house speaker. Every semester there is a plenary meeting. This meeting takes place in the assembly hall. At this meeting the house speakers and the tutors are elected annually and further offices are elected every six months. Information about past and future actions is given and important messages of the Studentenwerk are passed on. Furthermore, this is a very good opportunity to ask questions and give suggestions. We urgently request that you attend this meeting in large numbers, as this is the only way we are entitled to vote and the best opportunity for us to receive feedback on all events in the dormitory. There is a community printer in the study room on the third floor. Please bring your own paper to print on. Ink will be provided. 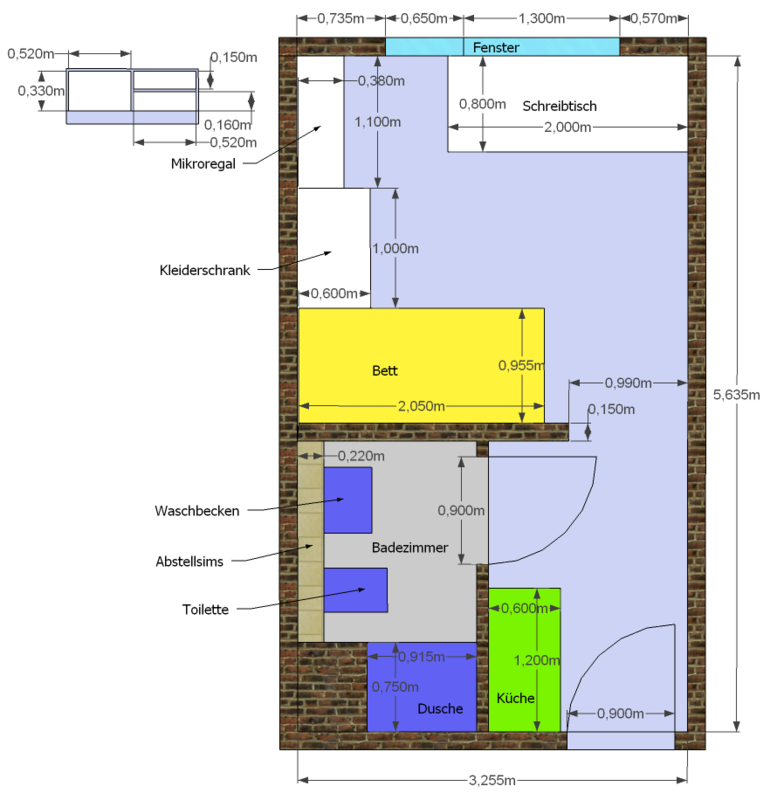 You can find information, discussions and contact to other residents on our Facebook page Wohnheim Josef-Wirth-Weg 19.